When a young company announces that its founder is stepping down and a new chief executive is coming in, it’s usually a sign of either trouble or wisdom. Former Ford trucks executive Matt O’Leary said his recent appointment as chief executive of Motiv Power Systems, replacing founder Jim Castelaz, signals the latter – the wisdom of an entrepreneurial founder. Motiv founder and former Chief Executive Castelaz – also an engineer – will transition to chief technology officer for the Foster City, Calif., company. 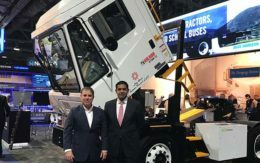 He’ll be working on new products and improvements aimed at expanding its line of electric chassis for medium-duty trucks. O’Leary retired from Ford in late 2015 after 38 years, which included stints as director of corporate strategy and director for truck, SUV and commercial vehicle programs. He joined Motiv’s board a year later. 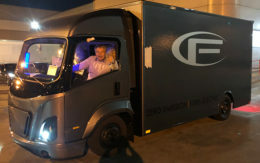 Shortly after his appointment as chief executive, O’Leary demonstrated the power of his Ford connections: a deal to boost Motiv’s production potential by having its electric truck chassis built in the same Detroit Chassis plant as Ford’s medium-duty internal combustion chassis. He sat down with Trucks.com to discuss his hopes for the burgeoning company. Here’s an edited version of that interview. What do you have planned for Motiv? Anything beyond the electric chassis? As customers start to experience EVs, they want to do more things with them. They’ll want more on the telematics side. They’ll want more on the security side; not just in terms of the security of the truck itself but the security of the data. They’re going to want different kinds of accessories. There’s a lot of room to play here as commercial vehicles gear up to go electric. Electric vehicles and vehicle autonomy seem to go hand-in-hand. Any plans there? I think our technology is a strong base for an autonomous vehicle. It’s not a core competence of ours now, but it would make logical sense to partner with somebody in that space. Ford’s medium-duty platforms are the basis for Motiv’s electric chassis. Any plans to use other OEMs? We are talking to other OEMs. But Ford is the leader in the medium-duty commercial market space, so we’re happy to start with them and build from there. There are other things in the works as well. We just announced our partnership with BMW to supply us with lithium ion batteries, and you’ll see more product coming based on those batteries. I can’t say yet, but the thing that’s great about Motiv’s technology is that we’re battery-agnostic. As new batteries come along that have application in the commercial market, we can pair those up with the right motor and the right accessories to meet specific customer needs. You retired then joined Motiv’s board and now are full-time CEO. That’s not much of a retirement. I said that if an opportunity presented itself and it seemed like the right fit, I would jump in. I was really passionate about zero-emission trucks, and when Jim called to ask me to join the board I said yes. I’ve got a lot I could bring to the party in terms of understanding the commercial truck customer. You ran programs like Ford’s F-150 and the Expedition SUV. Where’s the EV passion come from? Back in the 1990s, when California’s zero-emissions mandate first came out, we started developing an electric truck at Ford. The program was dropped when the rules changed, but we wanted to keep EV technology progressing, so I worked on a project to electrify walk-in vans. Those never were produced, were they? We didn’t quite get the technology in place. But when Jim called me about Motiv, he was asking me to pick up a great idea I’d had 25 years earlier. Was the chance to get back to electric trucks the only attraction? No. I thought Jim’s strategy of going after commercial vehicles in the medium-truck market, with a very flexible product, put Motiv in a space nobody else was playing in. And I thought he had the right strategy, the right idea, and I was really impressed with the technology that he brought to the table. 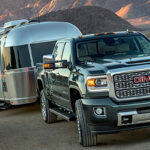 You’re not concerned that the big-truck makers will decide to jump in with their own electrics? It’s a decent-sized market, but there’s not enough volume for the big (manufacturers). We’re doing a lot of little applications, and the OEMs aren’t geared up for that. Motiv has depended largely on grant programs and pilot projects. Is that changing? Revenues were pretty much grant-based, but we flipped in 2018 and now are driven by sales. And next year it’ll all come from the vehicle side of things. The space that we’re at now is pilot programs with a lot of the larger fleets. They’ll start with orders of maybe five or 10, and when they get confident the orders jump to 50, 100, 150. FedEx wants to spend $750 million on electrification in the next few years, and we intend to take a part of that. FedEx was an early pilot project customer. Any other big fleets signing on now? We have a pilot with the Postal Service, and we sell to AmeriPride, a subsidiary of Aramark. We’ve been putting vehicles out for the last few years, and we are now talking to some very big fleets. We’re in a really good position. Motiv’s chassis now carry a 30 percent premium. Can you see a time incentives aren’t needed? Within the next year, based on our higher-volume lithium ion batteries and some of the cost reduction we’ve been doing on our own electronics, we’ll be in a position to present a product that pays back without incentives. Motiv’s 10 years old. Why the management changes now? This is just augmenting the team. It gives Jim a chance to focus more on the future, so we continue to build our competitive advantage, look at new technologies, partner with new technology leaders, and build a future for Motiv. Jim got us here in our first 10 years; now it’s his job to lay the path for the next five to 10 years. My job is to focus on daily operations and drive growth. Electric powertrain developer Motiv Power Systems is poised to accelerate business in the medium-duty segment as truck electrification takes off.